Yes, The Globe is finally finished. In terms of plotting, it is probably the most difficult book I’ve yet written, and the two-year gestation period reflects that. Action/thrillers are relatively easy for me to write. I can generally whip one out in around five or six months when I have the discipline to keep at it. But murder mysteries are, by their very nature, very intricately plotted with many intermingled threads that simply must mesh for a truly satisfying ‘reveal’ lest the ending disappoint aficionados of that genre. Leave out a critical clue or otherwise make the solution seem either contrived or unsolvable by the reader and you will have cheated your audience. People frequently ask me, “Do you outline before you write a novel?” The short answer is, “No.” I find it way too confining to tie myself down to an outline before I even know for certain how the story and the characters are going to develop and interact with one another. The longer answer is, “Sort of.” I do know in my head, before I put down even the first word, where my protagonist is going to start, and where and how he is going to end. Most of the creative parts of this book were mentally fleshed out during long walks—and hour and a half, two hours, or more. Indeed, I would run through the entire basic plot in my head, then keep that plot there until I typed it out over the following months and, yes, even years. But plot alone is not what this story was about. 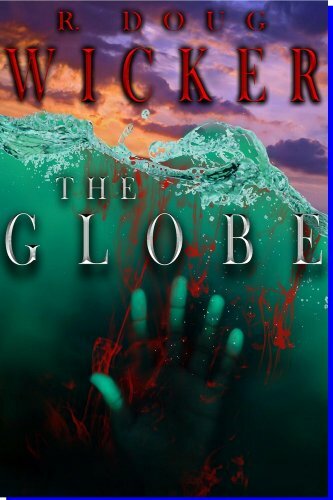 As with my novel Decisions, character development was key to the plot for The Globe working. As, as with Donovan “Don”/”Van” Grant of Decisions, Reynard Chevalier of The Globe is a complex character with a past—a past that disrupts his ability to cope with the present. And, once again, unraveling Reynard Chevalier’s past—when he was once known as Robert Brand—becomes critical to understanding his interactions with those around him in the present. So, basically, it’s two mysteries wrapped up in one, although in the case of Donovan Grant, his character’s ‘reveal’ is handled much more like the standard ‘reveal’ in a murder mystery. And for obvious reasons—he’s his own prime suspect in a series of murders. Reynard Chevalier, on the other hand, is tasked with a more conventional murderer who uses some very unconventional and diabolical methods. Finishing the first draft of The Globe was not the end of the process. Rather, it was just an intermediate step. I sent out copies to my trusted beta readers—people I trusted to be brutally honest in their appraisal, and who would offer constructive advice and suggest additional plot elements, devices, character development ideas, and scenes. While my beta readers were doing their job, I contacted my agent to set up a target date for completion. That schedule was going to be unusually tight. My agent wanted the completed, post-beta reader revision not later than October 27. He reserved the weekend following that date for his review. This was not going to be easy. Not by a long shot. Fortunately, my selected team of beta readers were up to the task and did their jobs far in advance of my anticipations. Screenwriter Robert Payne came in first, finishing the book in just two days and a full five days ahead of his original estimate (that’s always a good sign—it shows enthusiasm for the story, I think). Within mere days my other two beta readers (Psychology Professor David Williams and Literature Major Randi Brewer) followed suit, each offering valuable insights and differing views. I was, thanks to them, off to a very good start. Armed with their suggestions and advice, I found myself with less than six weeks to edit and rewrite a book that had been in the making for the better part of two years. Meshing their ideas and differing points of view was a challenge, and some of their suggestions would unfortunately get lost in the shuffle of competing opinions. Increasing the challenge was the fact that I only recently came out of retirement, starting a full-time job on August 22 of this year. That left even less time—far, far less than I would otherwise have had available to me. That meant late nights and long weekends, all the while keeping up my three-blogs- a-week schedule (if you’ve been wondering why my blogs have been shorter lately, now you know). And thus it was on Tuesday night of this week, barely two weeks ahead of my agent’s deadline, that I completed the task, thanks in no small measure to an Italian explorer who set sail under a Spanish flag some 519 years ago and discovered that you can’t get to China by sailing across the Atlantic. Or, as I like to say, “You can’t get there from here. You have to go elsewhere first.” Anyway, thanks to him I got the three-day weekend I desperately needed to put a substantial dent in my endeavor. Thanks, Chris. You’re a lifesaver. On Wednesday, Ursula had a hard copy of The Globe printed out, boxed up, and shipped off to New York. Today, I received word from my agent’s charming assistant Mary Ellen that The Globe had arrived and was awaiting its date with Henry Morrison and his reading lamp. 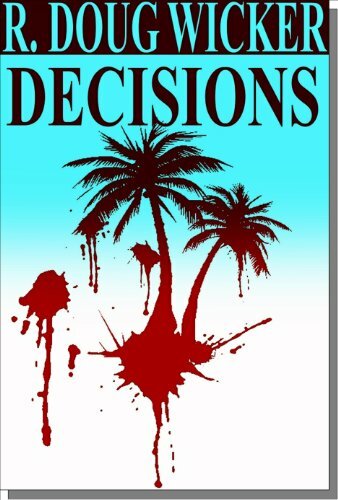 Up next—I’m still working on rewrites of my earlier works, the Ian Drake series of action-thrillers set in the 1990s. I hope to have the first of that series available for the Kindle and Nook in the next month or so, but as these were my first novels there remains much to do. They simply are nowhere near the standards I set for my writing now, even though the second in that series nearly sold in Hollywood. Thanks again to all who helped me with this project. Next week we’ll get back to the fun stuff on this blog—photography, travel, food, wines, etc. Until then, have a great weekend.